Around our own convenience store will be developed . 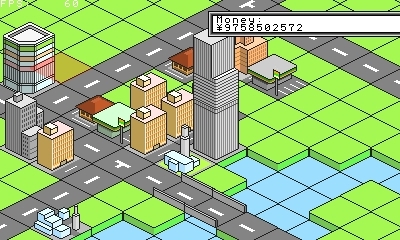 If the power supply rate is low , it is difficult to develop the city and profits will be low . 37 Comment(s) RGamesOffical Intermediate Programmer I can make programs, but I still have trouble here and there. Programming Strength Minecraft Is Awesome! I love Minecraft! Express Yourself Video Games I like to play video games! Hobbies 7 months ago Why are the controls not translated? I accidently keep pressing Y every time I want to build something when I realize its R that does it!!! IAmRalsei Forum Leader Hidden Achievements First Year My account is over 1 year old Website Expert Programmer Programming no longer gives me any trouble. Come to me for help, if you like! Programming Strength 1 year ago i find it weird that there's still yen in the english version instead of dollars and that not everything was translated auceps 1 year ago it’s called talented laziness IAmRalsei Forum Leader Hidden Achievements First Year My account is over 1 year old Website Expert Programmer Programming no longer gives me any trouble. Come to me for help, if you like! Programming Strength 1 year ago but most things were still translated auceps 1 year ago competent lazy people will do at least some work auceps 1 year ago that wasn’t really a joke Eversky_HD Minecraft Is Awesome! I love Minecraft! Express Yourself 1 year ago WOW Nice Game! Good Works! !!! random_god Intermediate Programmer I can make programs, but I still have trouble here and there. Programming Strength QSP Contest 1 Contest Participant I participated in the first SmileBASIC Source QSP Contest! Video Games I like to play video games! 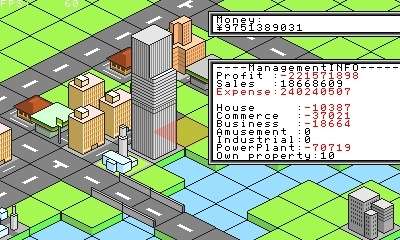 Hobbies 2 years ago press r, there it will show options: build, road, info, and back. i looked through this, cant make profit. please help! IAmRalsei Forum Leader Hidden Achievements First Year My account is over 1 year old Website Expert Programmer Programming no longer gives me any trouble. Come to me for help, if you like! Programming Strength 1 year ago There are 2 ways to make profit: 1. Sell your buildings to someone else this will give you some money but it also means you don't own the building anymore and 2. sell stock i don't really understand how this works maybe there's a third way idk auceps 1 year ago i thought some building give you money? IAmRalsei Forum Leader Hidden Achievements First Year My account is over 1 year old Website Expert Programmer Programming no longer gives me any trouble. Come to me for help, if you like! Programming Strength 1 year ago i don't remember what it is but now that you mention it i remember a building that gives you money moogle osu! Is Awesome! I love osu! Express Yourself Video Games I like to play video games! Hobbies Zelda Is Awesome! I love The Legend Of Zelda! Express Yourself 2 years ago how do you do the things like place buildings and stuff Gaelstrom_Valence Drawing I like to draw! Hobbies Intermediate Programmer I can make programs, but I still have trouble here and there. Programming Strength First Month Joined in the very first month of SmileBASIC Source Website 2 years ago Still don't know what I'm doing photonegativemickey Beginner Programmer I'm just starting out! I'm still trying to grasp the basics. Programming Strength Avatar Block I didn't change my avatar for 30 days. Website RNG Hidden Easter Eggs 2 years ago Nice auceps Edited 2 years ago What?!? Updated by the Pocky themself? PetitPocky Staff Pick "Your program is one of our favorites!" - Staff Achievements Great Page Hidden Achievements Expert Programmer Programming no longer gives me any trouble. Come to me for help, if you like! Programming Strength 2 years ago No. 12Me21 is a page moderator. Perhaps a page moderator can edit anyone's page. auceps 2 years ago I realized this lol Mr_Mo Promoted Page My page was promoted on SmileBASIC Source! Achievements Video Games I like to play video games! Hobbies Zelda Is Awesome! I love The Legend Of Zelda! Express Yourself 2 years ago I cant make a profit. PetitPocky Staff Pick "Your program is one of our favorites!" - Staff Achievements Great Page Hidden Achievements Expert Programmer Programming no longer gives me any trouble. Come to me for help, if you like! Programming Strength 2 years ago let's sell properties that operate at a loss Mr_Mo Promoted Page My page was promoted on SmileBASIC Source! Achievements Video Games I like to play video games! Hobbies Zelda Is Awesome! I love The Legend Of Zelda! Express Yourself 2 years ago Finally!! This game looks great!!! auceps 2 years ago >8 months ago Simeon Scholar Received for knowing a great deal about programming topics Achievements Amazing Page Hidden Achievements Drawing I like to draw! Hobbies 2 years ago PetitPocky should definitely work on an update, or new version It is a cool game though PandaIsland Beginner Programmer I'm just starting out! I'm still trying to grasp the basics. Programming Strength Night Person I like the quiet night and sleep late. Express Yourself Video Games I like to play video games! Hobbies 3 years ago I Can't wait for PetitCity 5 with DRM! This is great! auceps 3 years ago PetitCity 10 with the Nintendo VR SmileBASIC port. Mariominer First Day Joined on the very first day of SmileBASIC Source Website Promoted Page My page was promoted on SmileBASIC Source! Achievements Expert Programmer Programming no longer gives me any trouble. Come to me for help, if you like! Programming Strength 3 years ago I'm confused - how do you make ANY profit? When I play, anything I do ends in negative profits. Minxrod Third Year My account is over 3 years old Website Expert Programmer Programming no longer gives me any trouble. Come to me for help, if you like! Programming Strength Video Games I like to play video games! Hobbies 3 years ago Same :P Maybe just let the random stuff pop up? 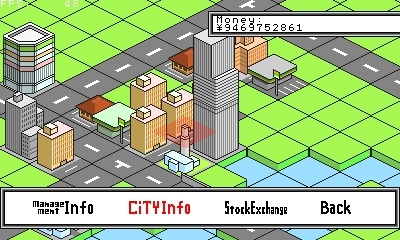 Stocks are very good for profits, I like using them before I actually build anything. PetitPocky Staff Pick "Your program is one of our favorites!" - Staff Achievements Great Page Hidden Achievements Expert Programmer Programming no longer gives me any trouble. Come to me for help, if you like! Programming Strength 3 years ago Did you build any Power plant? If you did not build Power Plant, you need some Power plant. Mariominer First Day Joined on the very first day of SmileBASIC Source Website Promoted Page My page was promoted on SmileBASIC Source! Achievements Expert Programmer Programming no longer gives me any trouble. Come to me for help, if you like! Programming Strength 3 years ago I built a power plant. Nothing happened. Oh well. Natural Development, I guess. PetitPocky Staff Pick "Your program is one of our favorites!" - Staff Achievements Great Page Hidden Achievements Expert Programmer Programming no longer gives me any trouble. Come to me for help, if you like! Programming Strength 3 years ago Please increase population. Ptcguy First Week Joined in the very first week of SmileBASIC Source Website Minecraft Is Awesome! I love Minecraft! Express Yourself Beginner Programmer I'm just starting out! I'm still trying to grasp the basics. Programming Strength 3 years ago How do we increase population, though? PetitPocky Staff Pick "Your program is one of our favorites!" - Staff Achievements Great Page Hidden Achievements Expert Programmer Programming no longer gives me any trouble. Come to me for help, if you like! Programming Strength 3 years ago Build Block of Flats. randomous Owner Robot Hidden Easter Eggs Second Year My account is over 2 years old Website Drawing I like to draw! Hobbies Edited 3 years ago >how to increase population >build housing Makes sense to me. 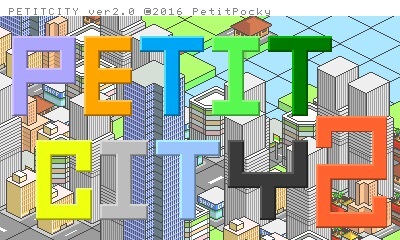 Edit: Thank you for the game, PetitPocky! It's awesome! PetitPocky Staff Pick "Your program is one of our favorites!" - Staff Achievements Great Page Hidden Achievements Expert Programmer Programming no longer gives me any trouble. Come to me for help, if you like! Programming Strength 3 years ago Thank you. bluemonkey1111 Avatar Taboo I didn't change my avatar for 180 days Website Second Year My account is over 2 years old Website Intermediate Programmer I can make programs, but I still have trouble here and there. Programming Strength 3 years ago Better then the other one bluemonkey1111 Avatar Taboo I didn't change my avatar for 180 days Website Second Year My account is over 2 years old Website Intermediate Programmer I can make programs, but I still have trouble here and there. Programming Strength 3 years ago Woah it is amazing Yttria Head Admin 3 years ago Yesss This game looks amazing. PetitPocky Staff Pick "Your program is one of our favorites!" - Staff Achievements Great Page Hidden Achievements Expert Programmer Programming no longer gives me any trouble. Come to me for help, if you like! Programming Strength 3 years ago Thank you!! !